Last week, the market suffered its worst three-day decline in five years! The S&P 500 lost 3.7% … the Dow fell 4.1% … and the Nasdaq sank 6.5%, its largest one-week drop since September 2001! Don't ignore the stock market's warning signs! Unless you are truly a long, long, long-term investor with a stomach made of iron, the " buy, hold and pray" strategy of doing nothing is the worst mistake you can make. What can you do? #1. Adjust your asset allocation — This is a great time to look at what percentage of your portfolio is invested in stocks, bonds, cash, etc. If you're heavily invested in stocks, you may want to consider reducing your equity exposure and raising cash. #2. Implement stop losses — These orders tell your broker to sell your shares if they fall to a predetermined price. Only you can decide what prices you'd like to sell at, but many investors choose an acceptable percentage amount (say, 10%) and apply that to each of their positions. #3. Use a strict sell discipline — Market technicians use tools like moving averages, relative strength indicators, and other momentum-oriented tools to tell them when to buy and sell. One of the simplest market-timing strategies is selling a stock or fund whenever it drops below its 50-day moving average. But whatever indicator(s) you use, the key is removing as much emotion as you can from the process. #4. Don't get stuck in one country — The U.S. economy is rapidly slowing and even on the verge of falling into a recession. However, that is hardly the case in other parts of the world. It's a lot better to invest in countries that are growing like mad than those that are crawling along like inchworms. I've been telling you all about the opportunities in Asia. And I've been especially vocal about many of the U.S.-listed Chinese companies that are becoming available to investors through initial public offerings (IPOs). Reason: These new stocks have been soaring even as the U.S. market dives, and the trend shows no sign of slowing. In fact, two Chinese companies went public last week on the New York Stock Exchange, and both did quite well! Nepstar's drug stores are all over China, but there's plenty of room for more growth. 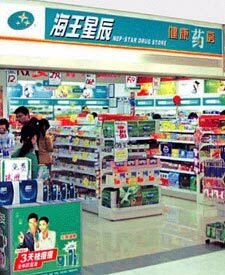 One of those IPOs came from China Nepstar Chain Drugstore (NPD), the largest retail drugstore chain in China. The company has 1,791 drugstores in 62 Chinese cities. And even though Nepstar is easily the biggest chain in China, it currently has less than 0.5% of the total prescription drug market. In other words, the sky is the limit for this dynamic company. Investors agreed, sending the shares up 15% in their first day of trading. The second blockbuster Chinese IPO was from AirMedia Group (AMCN) . The company operates China's largest digital media network dedicated to air travel advertising. All told, it runs 95% of the digital TV screens in China's 15 largest airports, as well as 16,000 TVs on the country's airplanes. What's more, thanks to Chinese regulatory restrictions, foreign advertising companies are prohibited. In other words, Air Media has a very strong economic moat protecting its profits. Maybe that's why the stock soared more than 40% on its first day of trading! 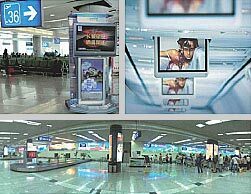 Airmedia has a stronghold on advertising in Chinese airports and planes. Just to give you a sense of how big and important Chinese companies have become, I want to point out that the market value of Petro China, a government-owned oil and gas company, rose above $1 trillion last week, making it the largest company (by market cap) in history! Yup, bigger than ExxonMobil or General Electric. In fact, Petro China is now worth more than the combined value of those two companies! Bottom line: It's becoming pretty hard to ignore Asia these days. Fortunately, you don't have to! This isn't the French Foreign Legion. Nobody is forcing you to invest only in U.S. stocks, especially since an avalanche of Asian issues are now listing on domestic exchanges as American Depositary Receipts (ADRs). Heck, buying stocks like Nepstar and AirMedia is as easy as buying Microsoft and Motorola! 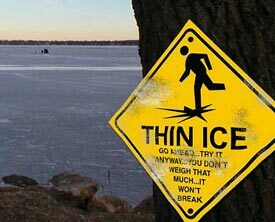 More importantly, I believe that partially diversifying out of vulnerable U.S. stocks, which are skating on thin ice, is one of the very best defensive moves you can make today. Then the way to unrig this crap shot is to take delivery of pcysihal and call thier bluff. The manipulation exists is Gold and Silver. Silver is historically some what connected to gold and being a relatively tiny market would be a lot easier to force the shorts to cover. There is a lot more Gold than Silver because Silver is also an strategic, industrial and investment metal. If everyone took out a Credit Card (or two ?) issued by a "bullion bank" (Chase,Morgan,HSBC etc. )and maxed them out buying Silver then the pcysihal demand would in essence "short circuit" the shorts. They would be in a position to sell back (at a profit) to the "bullion banks". Silver works to do this because there is so little of it available unlike gold. Ted Butler has stated that there is now less silver than gold because we have used it industrially. Buy Silver to unwind the Gold Carry Trade. Forcing COMEX to default on Silver would expose the Gold manipulation to all.